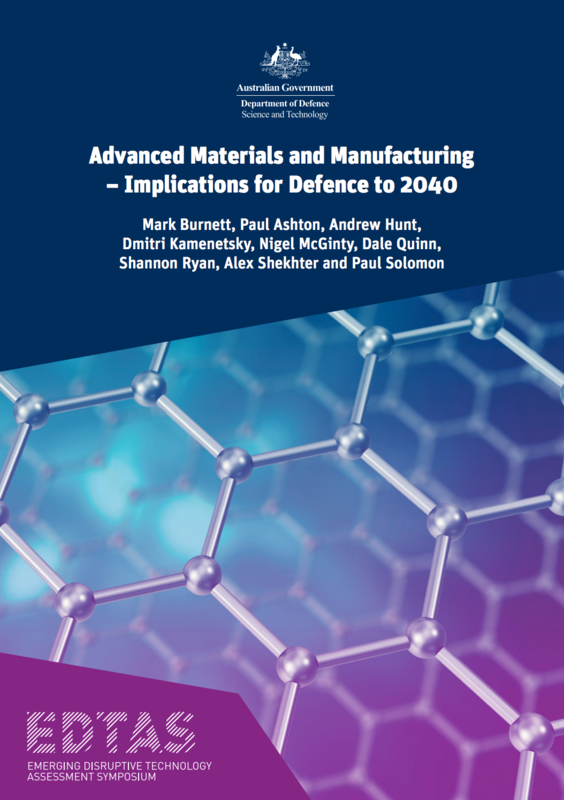 Noetic’s ongoing partnership with Defence Science and Technology on the EDTAS campaign came to fruition recently with the publication of the big picture report on Advanced Materials and Manufacturing. The history of humanity is the history of materials. From the first tools of the Stone Age to the first silicon chip of the Digital Age, the things we make and the things we make them from have defined the development of societies and economies. ‘How’ we make things is no less important. Since the Industrial Revolution began some 250 years ago, manufacturing has changed and developed to adopt game-changing innovations including the assembly line, automation and computing technology. We are now entering a new era of materials and manufacturing: ‘Industry 4.0’. This era is already being defined by new, highly customisable products which can move to market at ever-faster speeds and at ever-lower production costs. Novel materials offer the potential to enhance these new products to be more durable, flexible or more energy efficient than before. As history teaches us, new materials and manufacturing present new threats and opportunities for national security. Just as the bronze weapons and armour of the hoplites helped Classical Greece to thrive – how might we leverage the next generation of materials and manufacturing to enhance Australia’s defence? The Emerging and Disruptive Technology Assessment Symposium (EDTAS) series on Advanced Materials and Manufacturing (AMM) explores this question. EDTAS is the product of an ongoing partnership between the Defence Science and Technology (DST) Group and Noetic which seeks to better understand and prepare for the disruptive effects of new technology. The ‘big picture report’ is the culmination of an extensive process of research, interviews, engagement and workshopping with leading experts from Defence, academia and industry. It identifies the key areas for research and development out to 2040 and the opportunities for the Department of Defence and Australian Defence Force. Noetic is proud to be DST Group’s partner in delivering the EDTAS program as part of our suite of Signature Solutions.